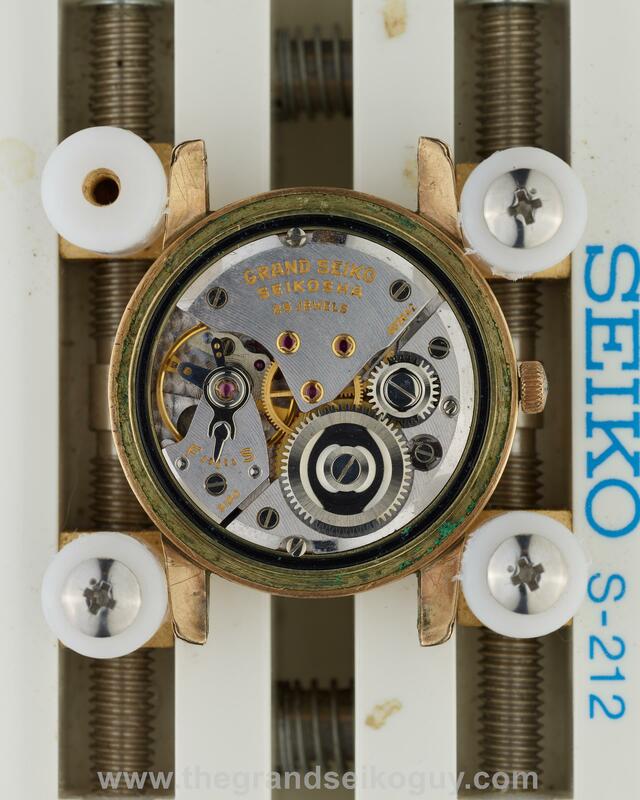 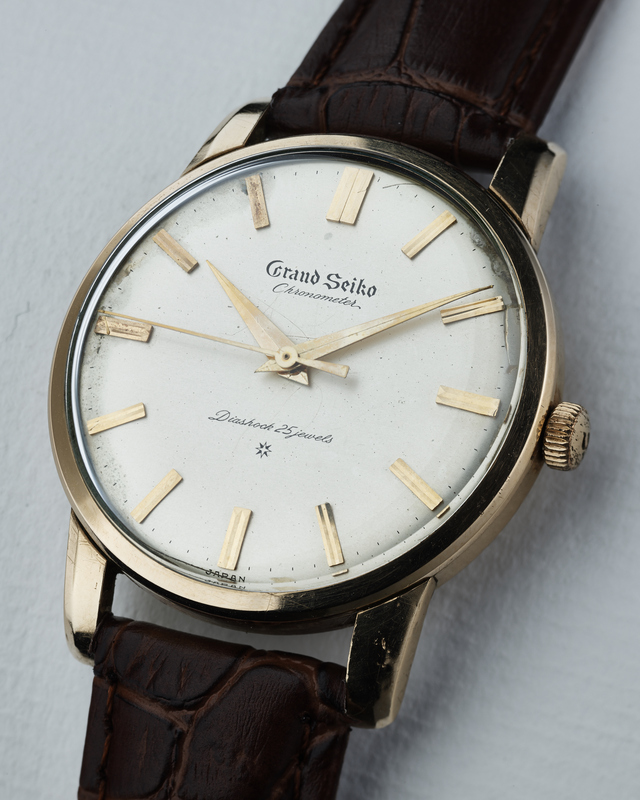 For the increasing number of watch collectors who are getting interested in adding a vintage Grand Seiko to their collection, the Grand Seiko First is a natural starting point. 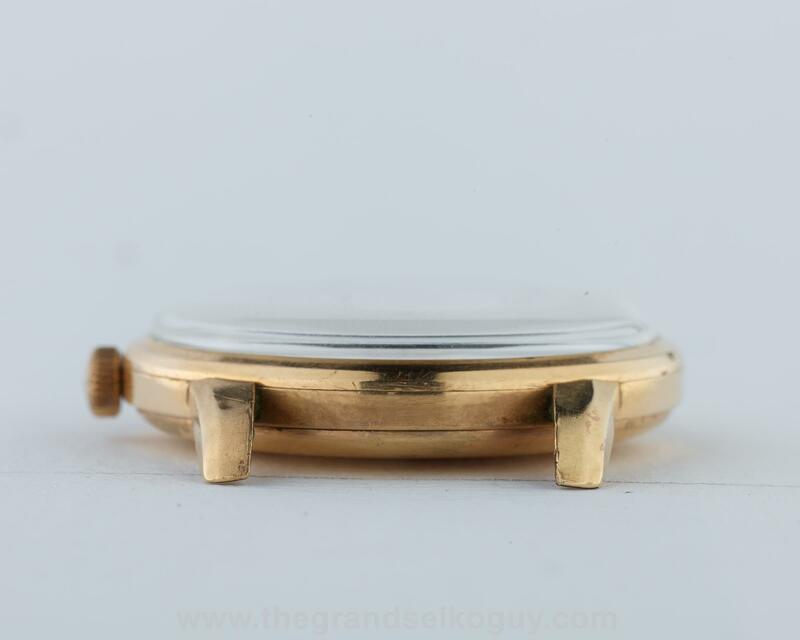 It is worth taking some time to consider that potentially for every 500 new collectors worldwide who purchase the relatively common raised logo dial example of this model, just one of those individuals will ever be able to own a print dial version.. 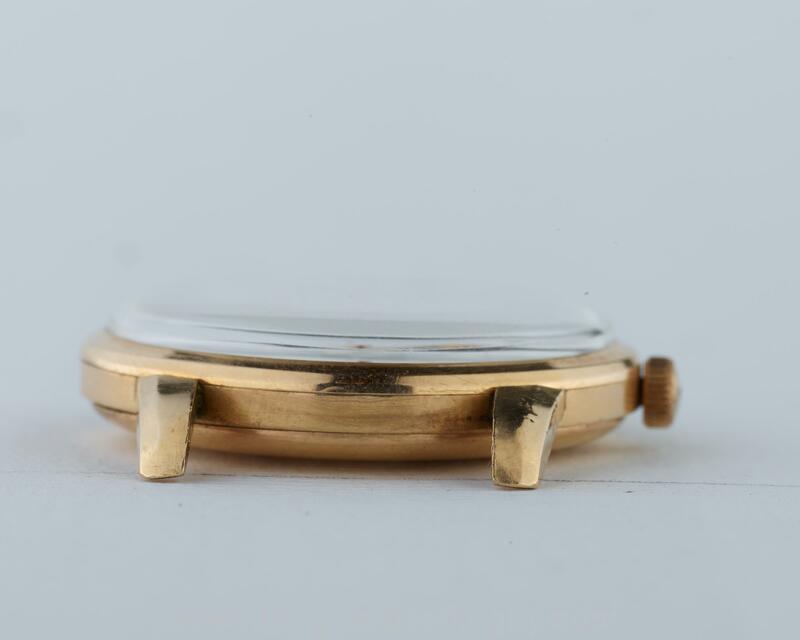 Dating from June 1960, the case on this example has stood the test of time extremely well, and maintains its strong surfaces and lines. 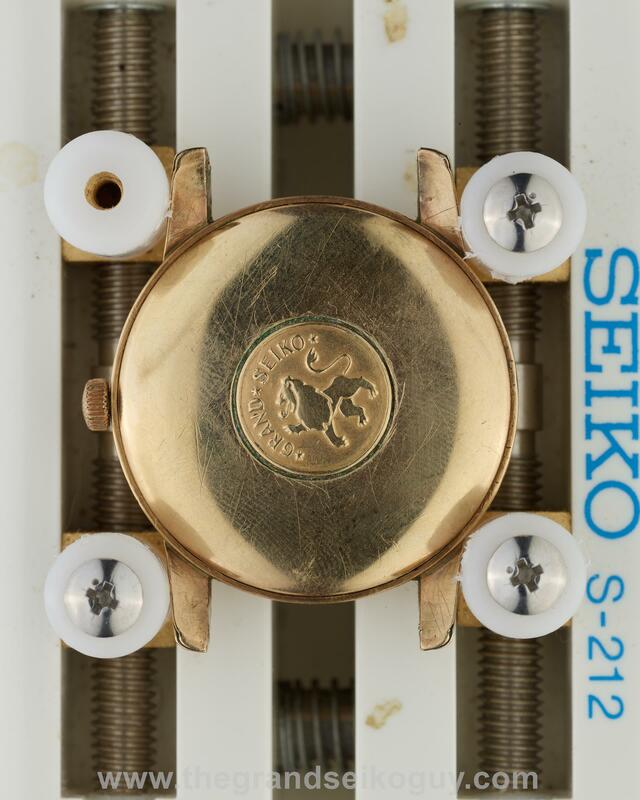 The handset is of course of the “mountain” variety, and the lion on the case back medallion the early type – one would expect nothing less on a printed dial reference. 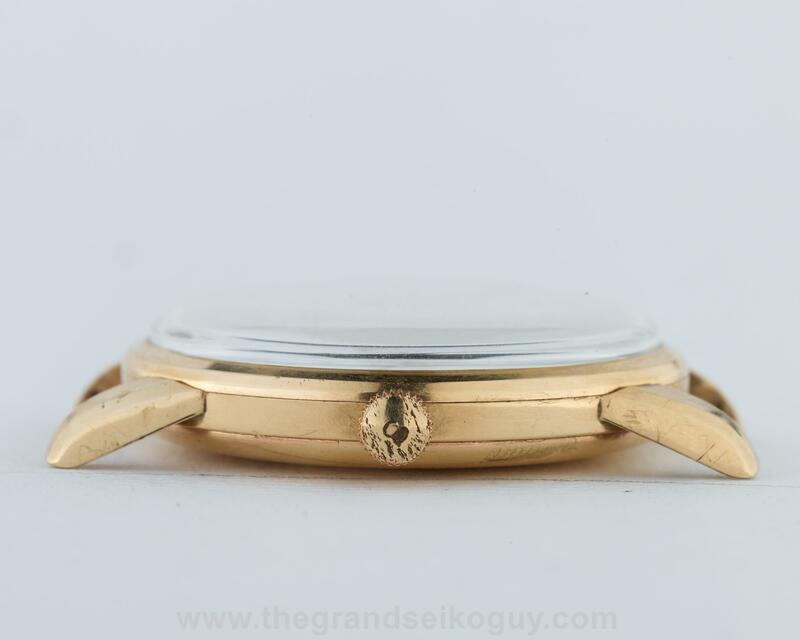 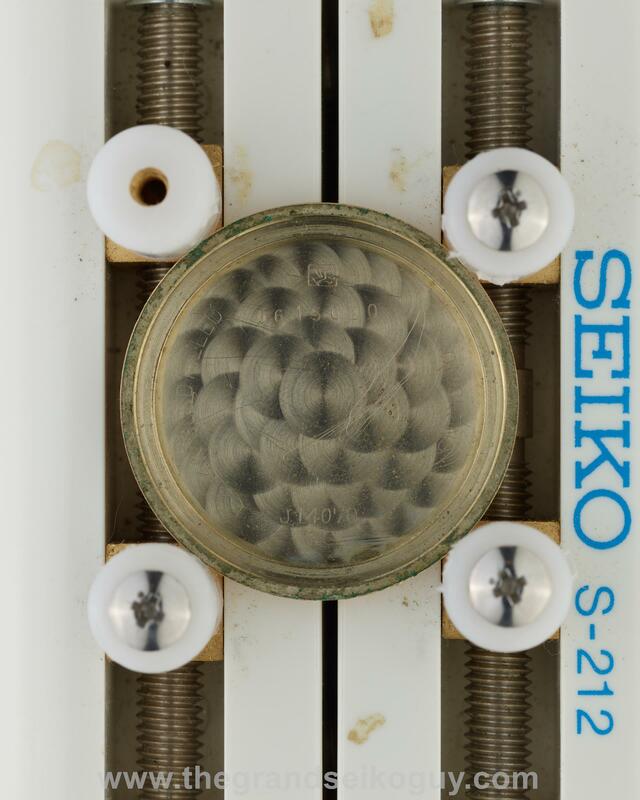 The dial on this example is not the best, as it does show signs of wear around the edges, as clearly showing in the accompanying photographs. 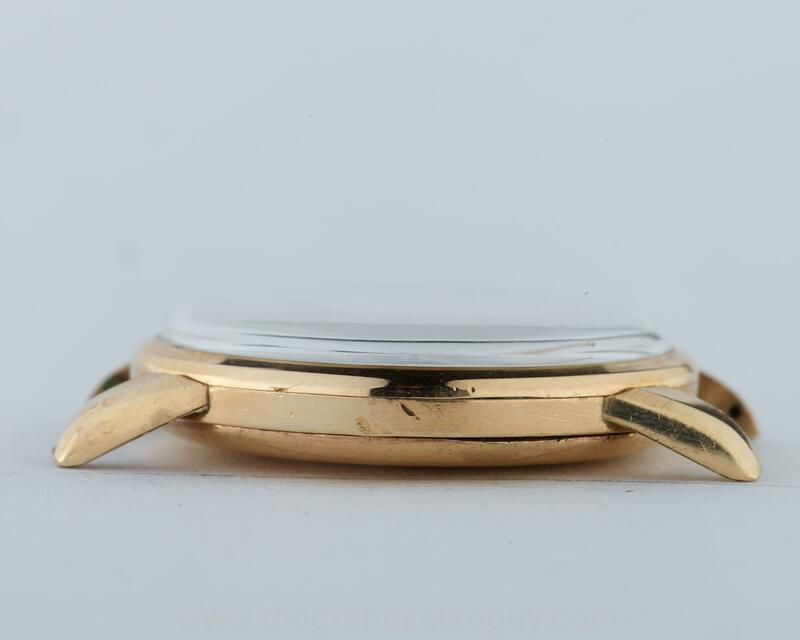 The asking price for this particular watch reflects this wear. 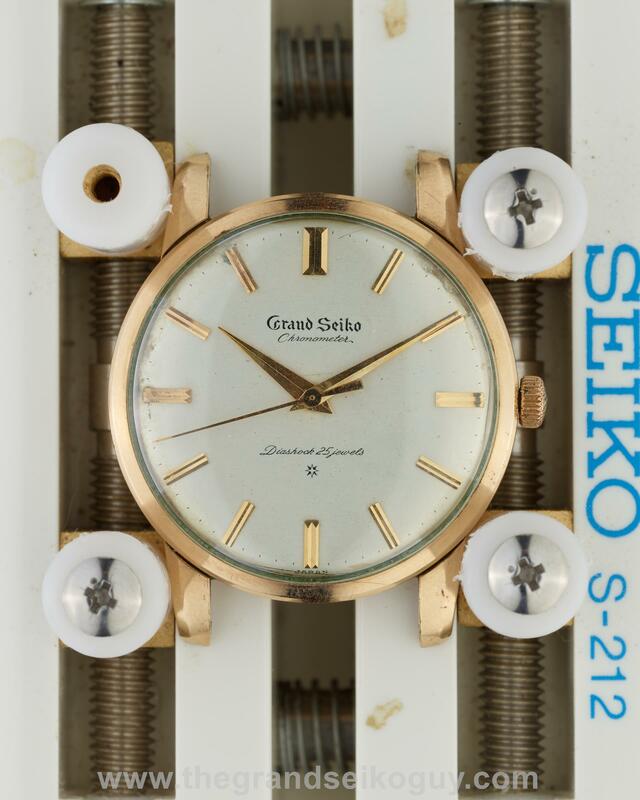 This watch was serviced in March 2018, comes with a 1 year guarantee (refer to the FAQ page for details), and is currently running at around +12 seconds per day on a time grapher in the dial-up position.